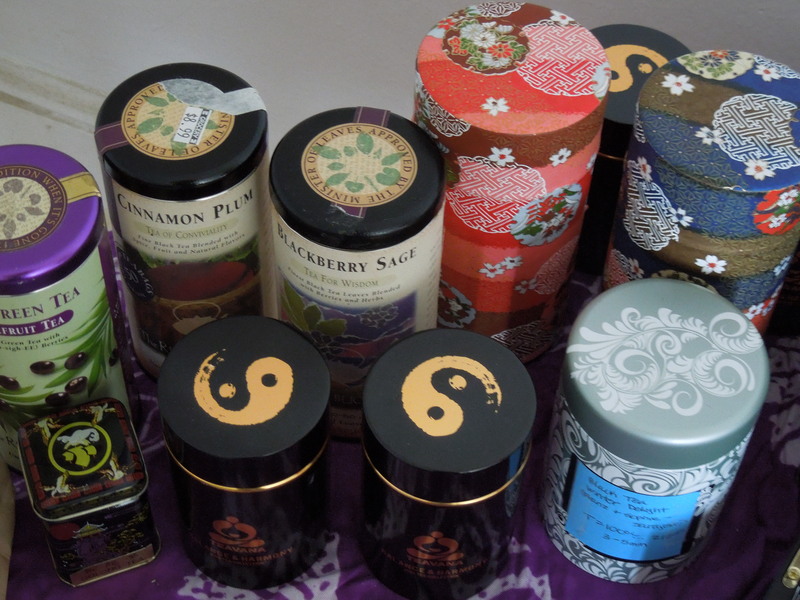 My tea making adventures didn’t end when I left Hawai’i. Just because I can no longer collect leaves and herbs while wandering from my cabin to the kitchen doesn’t mean I can’t visit my local co-op, pick up some spices from the bulk section, and make my own tea blends. So! 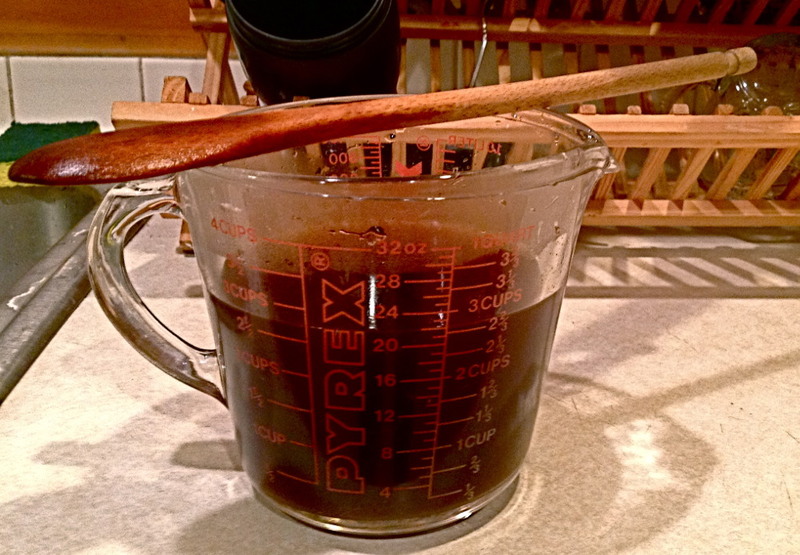 E and I made a chai concentrate, and you can too! 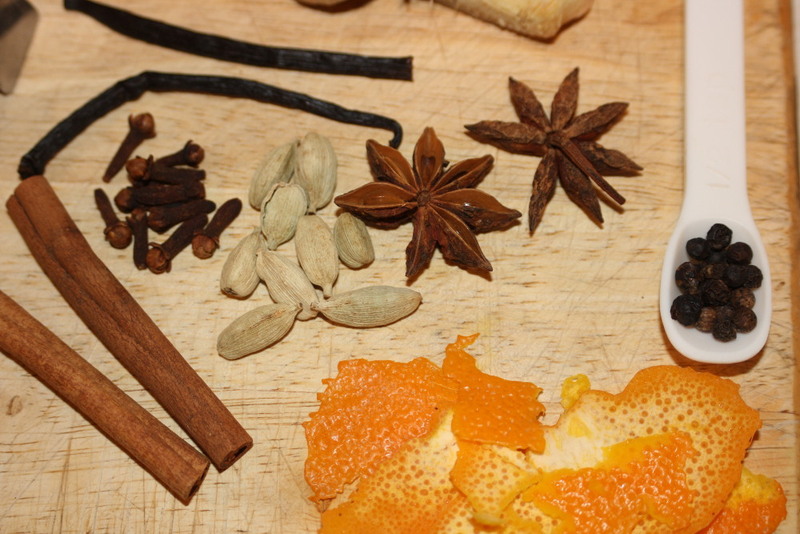 Full disclosure, we loosely followed this recipe, which teaches you how to make chai concentrate as a homemade Christmas gift… (Christmas in July, maybe?) However, this beverage can be enjoyed year around — all you have to do, if you’re suffering from a summer heat wave, is serve it over ice. Step 1: Add water and sugar to a medium-sized sauce pan and bring to a boil. Step 2: While waiting for your sugar-water mixture to boil prepare your other ingredients. 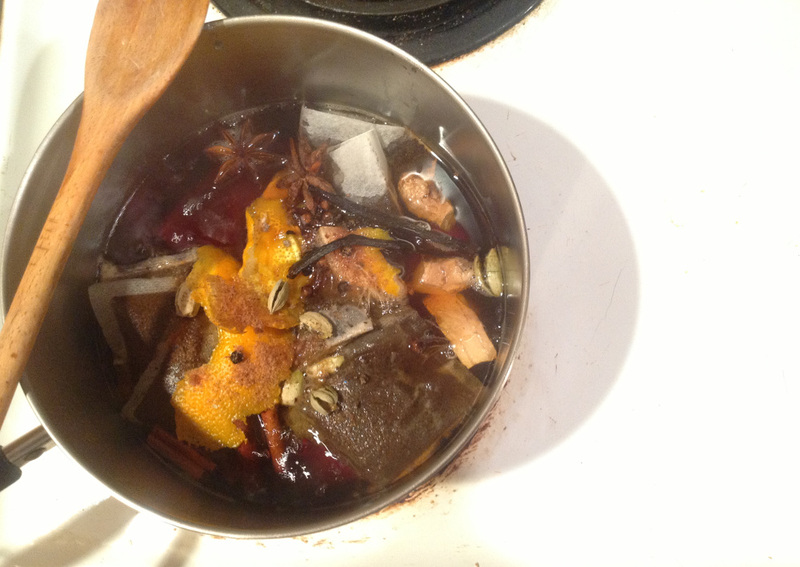 Remove tags from the tea bags, break the cinnamon sticks in half, grind the nutmeg, zest the orange, break the vanilla bean in half, and cut the fresh ginger into pieces. 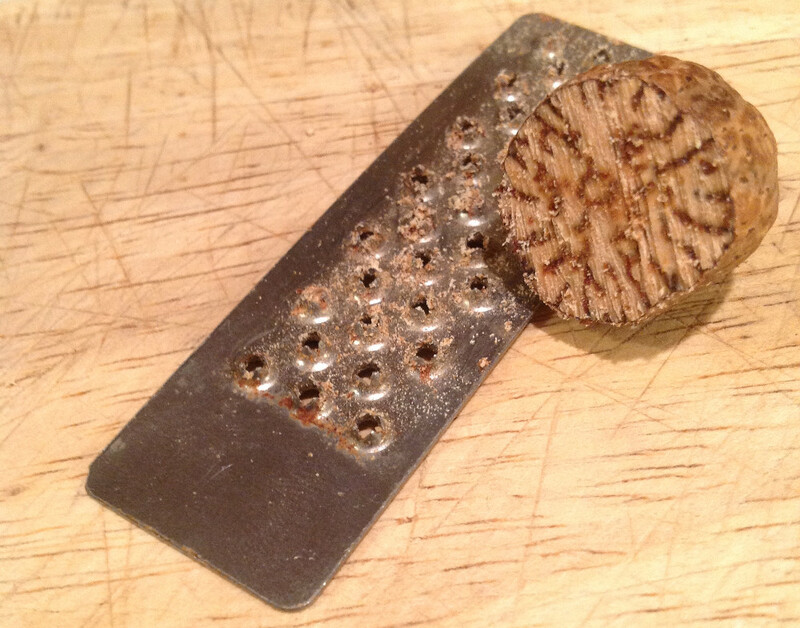 You could use pre-ground nutmeg instead of grating it yourself, but tiny nutmeg graters are both adorable and fun! Step Three: Once your sugar-water mixture comes to a boil, reduce the heat to a simmer. Step Four: Add all of the ingredients to the saucepan except the honey, and let simmer for 20 minutes. It may not look appetizing, but it smells divine! Step Five: Strain the ingredients out of the saucepan so you’re left with only liquid. Step Six: Add the tablespoon of honey, and stir. Step Seven: Allow the concentrate to cool before storing it in a jar and placing it in your refrigerator. This is a chai concentrate, which means you don’t want to drink the beverage as is. You can taste it, like E and I did, but it’s going to be very spicy and caffeinated. You’re better off mixing it with milk (2 parts milk to 1 part chai concentrate) and then heating it in the microwave for a warm chai latte or adding ice for a cold chai latte. If you want the mixture spicier, use more concentrate, for less spice, add more milk. You can, of course, use soy or almond milk, or just plain old water. This recipe will make four or five drinks depending on your spice preference, should be kept refrigerated, and should be used within a week. 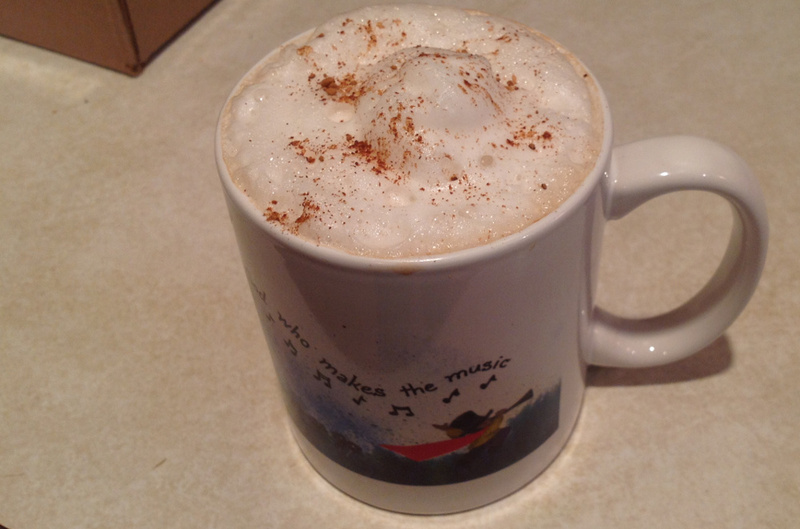 If you want a real latte, you can foam some milk on top with a milk frother (or a french press) like E and I did. Don’t forget the cinnamon. My favorite part about this homemade chai concentrate is how much the individual spice flavors actually come out in the final drink. You can buy chai concentrates at the store, but they taste more processed and less complex than this homemade version. Plus, when you take the time to make any food or beverage yourself, you have the ability to adjust the recipe to your personal preference. If you hate cloves, take them out. If you love ginger, add more fresh ginger (which makes a delicious, healthful tea all by itself). Feel free to experiment! Let me know how your chai concentrate turns out! I’m sure it would be delicious with maple syrup instead of sugar. This is my favorite tea post so far! (perhaps because chai is my favorite tea, lol) Also what an awesome mug 😛 I use fennel seed in place of anise since it was easier for me to find at school; what led you to these spice combinations? Haha, I love that you know exactly where that mug came from! E and I went to the co-op in SK to buy spices, which is how we tracked down whole star anise. 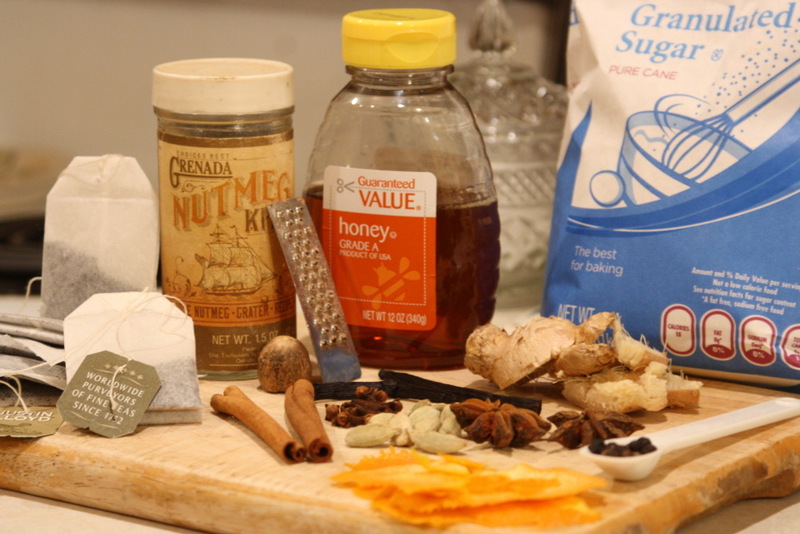 We looked at a few different recipes online, and followed one of them when we bought spices. I think in the future we might mix up the ingredients (based on what we have on hand) and see how it turns out! Also, how long does the concentrate last in the fridge? A week, although I don’t know which part of the recipe is in danger of going bad, so maybe longer.